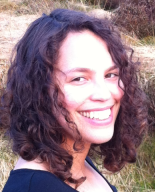 This week, I speak to Alina Cincan of Inbox Translation! Let’s go! My first experience with translation (and interpreting) was during my final year at uni. It was unpaid experience for a project that was supposed to last a couple of weeks (if I remember correctly), but because the manager of the company was very happy with my work, I stayed on for the rest of the year – it involved PA work, translating EU documentation and interpreting for business meetings. After graduating from uni, I started working as a teacher. But because I had discovered this passion for translation, I wanted to incorporate that into my life too. I would have gone for full-time freelancing, but needed the sort of security a 9 to 5 gives you, so… I only professed as a translator (and interpreter) part-time until I started Inbox Translation as a full-time project. The first year was not a smooth ride, but it wasn’t as terrifying as I’d expected either. Sometimes neither 🙂 But most of the time I’m a night owl (it may have to do with my love for and fascination with owls – I find them extremely cute). I find it easier to stay up late than to wake up early. I have never counted, as when you do something you love and are passionate about, time isn’t even a factor. Roughly, I’d say around 60. A mixture of both. I do have a routine, but the diversity of the job means I can’t always stick to it. And it’s probably a good thing too. Being flexible is important. Since I’m not technically a freelancer, I can’t comment much. However, as a small business owner, I suppose I still have some flexibility (but a lot of responsibility as well). And with today’s technology I can still travel and work. For some, this means scheduling some downtime – be it a couple of hours a day, be it weekends. However, I don’t think this is a concept that I could apply. First of all, work and life are pretty much intertwined for me, not just because I love what I do and am flexible in terms of my schedule, but also because my business partner is also my life partner, so we may find ourselves discussing work-related ideas over breakfast or dinner. But, as I said, loving what we do, we don’t find that in any way disrupting or stressful. Secondly, you cannot schedule life. It should be something fluid, flexible, flowing. If at any given time you feel overwhelmed, take a break, put on some relaxing music (by the way, calm.com is highly recommended), get yourself a manicure, drink some hot chocolate and do whatever tickles your fancy and makes you unwind. Similarly, if you need to put in extra work for an urgent/difficult project, or if inspiration for a new blog posts hits you while you are relaxing (which is bound to happen), go for it. For me, weekends are for both work and life if you want. I use weekends for more creative projects (to write posts for our blog, come up with new ideas, catch up with blog posts written by our amazing colleagues, etc.) and schedule the coming week in terms of projects, as well as finding interesting articles to share on social media. Of course, weekends are also spent pampering, going out with friends, watching films etc. As a small business owner, the biggest challenge was dealing with (almost) everything related to running it: freelance applications, managing clients and projects, social media and blogging. Finding the right tools has certainly helped. Some of the ones I use that make my life and job easier include Capsule CRM, Podio, Trello and Hootsuite. I’m always on the lookout for new apps and tools, so recommendations are welcome! Plain ol’ handwritten to-do lists are one “tool” I could not live without. Yes, there are apps for that, but for some reason they work best for me. The best thing about having a list with the current tasks is that you stop thinking about them and actually do productive stuff. Start earlier, don’t be afraid. Ha! I guess reading is not surprising, and I’m not sure if buying shoes and bags counts as a hobby (it may rather be a vice)… Nail art! I love doing my nails (and, of course, I do all my friends’ nails; even my friend’s 5-year-old daughter’s nails). I have lots of tools (dotting tools, brushes etc.) and I find inspiration on the Internet. 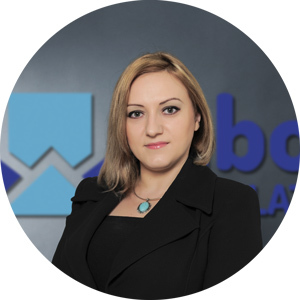 Alina is a former teacher, translator and interpreter with over 10 years’ experience, with a special interest in marketing translation. She’d describe herself as a total language geek and an avid reader with a soft spot for sushi, books, shoes and make-up. You can also get in touch on Google+ or LinkedIn. Now that’s certainly a surprise, Alina! I love having my nails manicured, I do it every week. Thanks, Caroline 🙂 Yes, I do my manicure (and pedicure) weekly too. 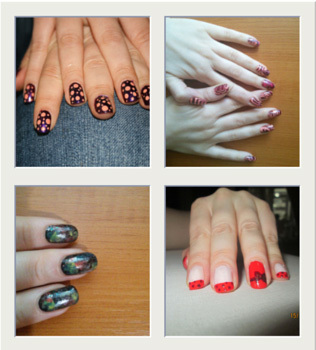 I’m not much for my nails, but I still appreciated hearing the what-we-do-that’s-not-localization story! Hi Tammi, thanks for stopping by! I’m glad you liked this interview. Do stick around because I publish one every fortnight 🙂 Have a great day! Thanks, Tammi. Glad you enjoyed the interview. Marie had an awesome idea with this series and I’m grateful I was invited to take part. What I would like to add here is that besides your work, you always find time to contribute to the community as well. You take time to support others and this is simply admirable. Thank you, Magda. That is a wonderful thing to say. I really enjoyed this interview, thank you Marie for creating this project, same questions, several points of view! I’m glad you’re enjoying it, Delfina 🙂 Thanks for stopping by! I’m glad you enjoyed it, Delfina. I hope that you also found it useful – do you use any of the tools I mentioned?